Living... in a flat in London. She lives by herself, which is making her paranoid. She has a constant fear of dying alone and being found three weeks later half-eaten by an Alsatian dog without anyone noticing. Her domineering mother tries to help her out by fixing her up all the time, but she doesn't like any of her ideas. Profession... in publishing. But she hasn't been getting much work done lately because she's too busy trading saucy texts with her boss. Interests... indulging in more Mars bars, cheesy TV game shows, cigarettes, and cheap wine than she should. Relationship Status... involved with two very different men. One is her boss, Daniel Cleaver, who loves the short skirts she wears. But he is the type of man women date but never marry. 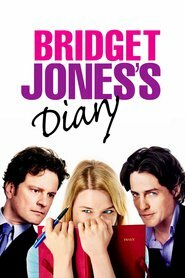 The other is Mark Darcy, a top lawyer her mother thinks she should marry. But Bridget can't imagine dating him -- especially after seeing him in his juvenile outfit. Personality... neurotic, overwhelmed, and awkward. In other words, she is perfectly normal. Bridget verbalizes what many of us are thinking and won't admit. And in doing so, she can be hilarious, allowing us to laugh at the challenges in everyday life. 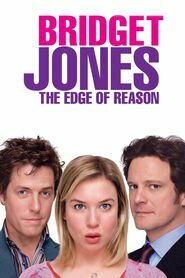 Bridget Jones's popularity ranking on CharacTour is #448 out of 5,000+ characters. See our top-ranked characters and read their profiles.